“I have also accelerated our negotiations to reach a political settlement in Afghanistan. Our troops have fought with unmatched valor — and thanks to their bravery, we are now able to pursue a political solution to this long and bloody conflict,” Trump said. He also indicated that there would gradually be a drawdown of American troops from Afghanistan as the talks progressed. He also indicated that he was open to leaving a counterterrorism force, likely consisting of special operators and intelligence operatives. “As we make progress in these negotiations, we will be able to reduce our troop presence and focus on counterterrorism. We do not know whether we will achieve an agreement, but we do know that after two decades of war, the hour has come to at least try for peace,” he said. Trump also told CBS News on Sunday he was open to leaving a small military presence in Afghanistan. News reports in December said the president planned to draw down the U.S. troop presence from roughly 14,000 to 7,000. Although those reports were not confirmed, hawkish Republican senators last week voted for an amendment criticizing Trump’s intentions to withdraw forces from Afghanistan. 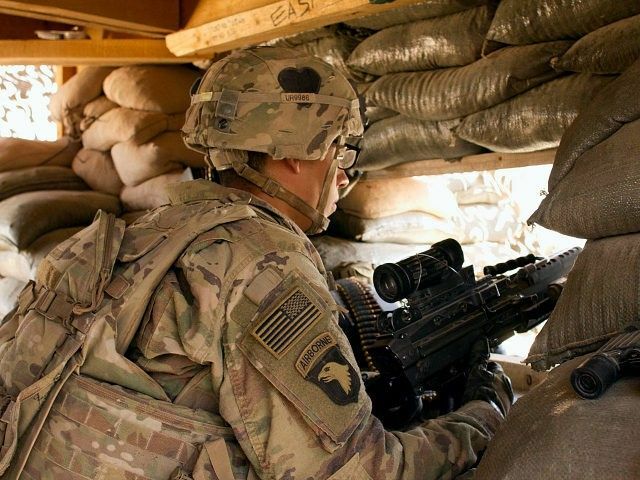 Trump during the State of the Union Address spoke of the toll the wars in Afghanistan and Iraq have taken on the U.S. military and hearkened back to his campaign pledges to end the war in Afghanistan. “Our brave troops have now been fighting in the Middle East for almost 19 years. In Afghanistan and Iraq, nearly 7,000 American heroes have given their lives. More than 52,000 Americans have been badly wounded. We have spent more than $7 trillion in the Middle East,” he said.